Massages and SPA treatments at J’adore Instytut Kraków can be therapeutic not only for your body, but also for your soul and mind. Our body and facial treatments would moisturize and nourish your skin, our massages would help you calm down and loosen up your tension. At J’adore Instytut Kraków we offer wide range of SPA cosmetics and various massage oils. Because of that we can personalize your treatment according to your needs. We care not only about the best quality of our products, but also about surroundings of our SPA treatments and massages. All of our rituals are performed in cozy rooms filled with oriental scents and harmonious sounds. All our treatments can be enriched by a glass of wine and performed for individuals and couples alike. Thank you for reservation. Our consultant will contact you soon to confirm your booking. Hot stone massage is a ritual deeply relaxing and revitalizing. This unique SPA treatment is suitable all those who need tranquility, and relaxation. The synergy of action of warm stones in combination with appropriate massage techniques affect a beneficial therapeutic way of body and mind. Massage stimulates the senses, relaxes, reduces muscle tension. The stones used to massage are derived from specially selected areas of high volcanic activity, such as Hawaii or Bali. Classic massage strongly relaxes the body and removes tension stored in muscle, calming and relaxing the body – eliminates stress and improves blood circulation. Classical massage whole body is a combination of traditional techniques of massage – rubbing, stroking, squeezing, move, oklepywania. The treatment significantly improves the condition of reducing mental and physical stress, tension and highly relaxing. This Relaxing massage comes from Indonesia – Bali tradition. 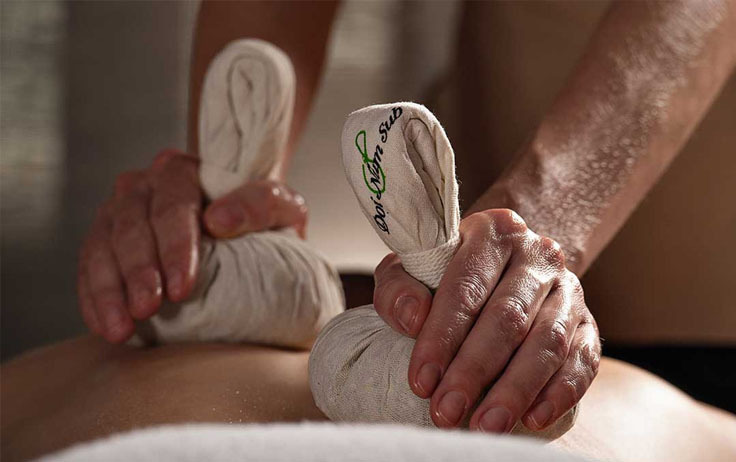 It is based on intense movements of stroking, rubbing, kneading the skin and technique of acupressure and reflexology. Improves circulation and lymphatic stimulation. It reduces tension and stress. Mauri whole body massage is a unique treatment of a therapeutic to help eliminate lock physical and boost your health. Massage relaxes tired body, ensures rest and relaxation for the weary mind. Pleasant, smooth, soft touch massaged gives a person time and space for spiritual renewal. Music Massager is specially selected – giving the appropriate treatment of rhythm, energy and creates a unique atmosphere. This very aromatic massage is based on an unusual combination of hot chocolate and essential oils. 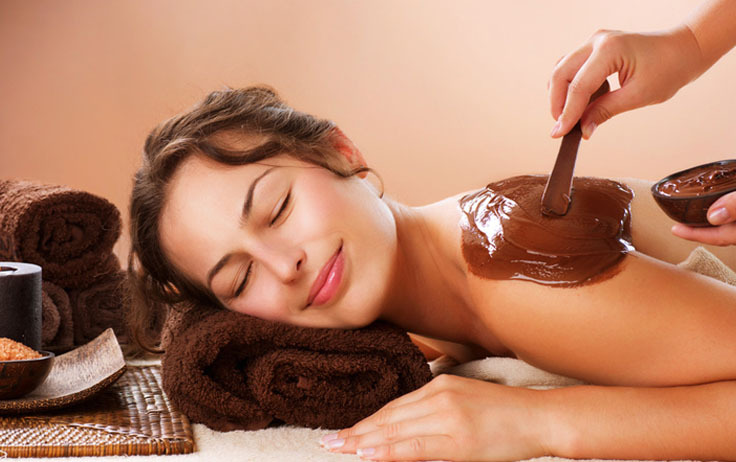 Massage not only deeply relaxes, but thanks to the unique properties of chocolate also strongly nourishes and moisturizes the skin. Hot chocolate massage is a treatment for all those who dream of a moment of complete rest and deep relaxation. Therapeutic massage reduces tension in the region of the spine and other problematic areas of the body. The treatment has a positive effect on muscle relaxation, improves skin elasticity. It eliminates the problems caused by overloading the body and caused disease. Therapeutic massage is mainly for medicinal purposes, but the additional effect of the treatment is physical and mental relaxation. Therapeutic massage is performed based on a wide knowledge of human anatomy and physiology. Most often it is operated by trained physiotherapists. Massage cures most diseases of a physical nature, such as back problems, sciatica, pain and other consequences of fractures, dislocations and sprains. Eliminates effusion ignited created by damaged muscles and tendons, it helps prevent the appearance of adhesions, improves the condition of the body and reduces the risk of bedsores. This massage dates back to the Japanese tradition. Its therapeutic effects allows you to overcome the muscle tension, calms and gives energy and vitality. It is recommended especially for the people actively practicing sports. Shiatsu massage is performed without oil. Massage comes from the islands of Hawaii. This is an exceptionally beautiful and harmonious treatment combining the element of dance, touch and massage. The treatment stimulates both the zone of physical, emotional and even spiritual. Lomi Lomi massage is full of beauty and grace. A characteristic feature of this technique is massage performed forearms on the warm, specially selected mixture of natural oils and performing dance, flowing movements. The cradle of this type of massage is Thailand. The treatment is very relaxing and sensual. Cotton punches are filled with an aromatic blend of herbs and spices with a variety of flavors and properties. The treatment stimulates microcirculation, improves skin elasticity and detoksuje it. Relaxes the muscles. Ayurveda massage works on three levels: physical, mental and spiritual. The main aim of Ayurveda massage is to stimulate the movement of energy in the body through a combination of methods of classical massage and acupressure. Massage the appropriate points and energy lines on both sides of the body comes to reducing stress and tension. The treatment is designed for active sportsmen, struggling with strong muscle tone and their overload. The treatment brings relief to tight muscles, reducing the pain and relaxing. It’s main objective is to reduce the pain associated with pregnancy and excessive weight on the body. Masseur focuses mainly of overloaded shoulders, neck, legs and head and neck. The treatment relief, relaxes tense muscles, relieves joints and ligaments. Massage is completely safe – is performed only by experienced and trained in this regard masseur. Our Beauty Studio takes care of the smallest details,so you can be sure that you will be in best hands. Come to us, Get away from the stress of hectic, stressful living, enjoy our Spa and Ayurveda treatments, quality facials, manicure or laser treatment. Newsletter - Join and get the news! Have a question ? Write to us ! We will reply within 24 hours!